The Colt sear spring with it's reduced width leg sections is the best spring on the market. 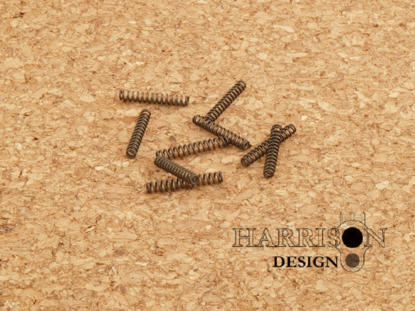 They are much easier to set the tension on each leg than those springs with full width legs. 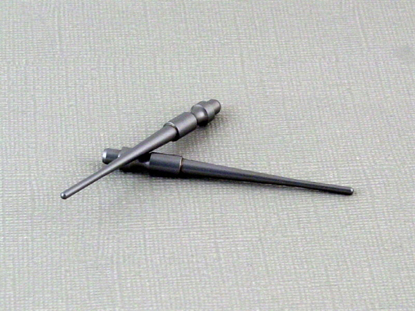 They hold the tension adjustment very well, unlike others. There are a lot of sear springs sold today that are barely a spring at all. 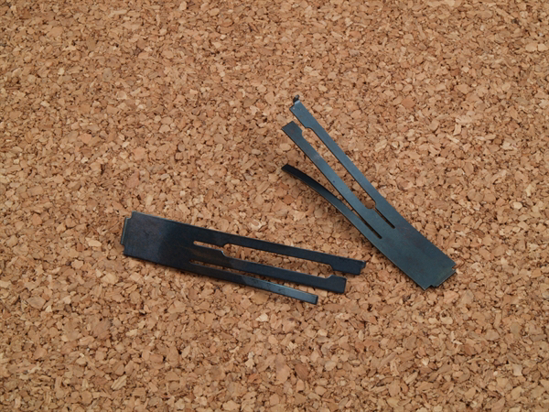 If you bend them too far or too many times, they will go "dead". If your sear spring doesn't look like this one, you may want to change it when you upgrade your ignition parts. Fits all 1911s, including the Springfield EMP. 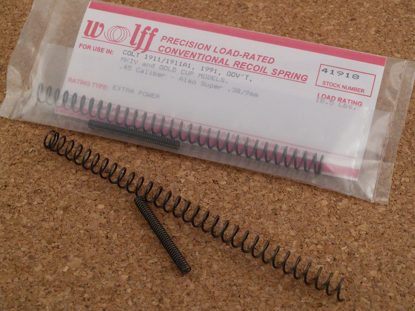 Wolff Recoil Springs - Gov't Mod.